If you absolutely love gaming and are wondering what it would take to parlay your talent, skills, and passion into a career in games, the most common path is to get a degree. While there is no shortage of degree programs for aspiring game artists, designers, and developers, many can be quite costly. Fortunately, today’s gamers with an eye on gaming as a career have a new option that has literally exploded into the mainstream. This option can help them pay for college while allowing them to game at a higher level throughout their college career. The option is called eSports. If you haven’t heard of eSports yet, it’s just a matter of time before you do. eSports is the short name for “electronic sports” and it has been around for at least two decades, though not in the academic arena. But just like basketball and football players play competitively on teams against other teams, eSports players play computer games on teams against other teams (and against each other) and the industry is huge. Massive eSports tournaments now take place around the globe in large arenas that attract huge crowds. In fact, the growth rate for eSports is around 41.3% year-over-year, according to a Newzoo report, and that growth is expected to transform the space into a $1.5 billion market by 2020, up from $493 million in 2016 and $655 in 2017. Total revenue is expected to exceed $900 million for 2018. By 2020, eSports is expected to attract around 300 million viewers per month, which is on par with NFL leadership today. Just think, in 2015 the League of Legends World Championships final attracted more than 35 million spectators alone and according to Newzoo, an estimated 167 million people around the globe will watch eSports each month in 2018. “With growth rates for eSports so high,” says a recent Forbes report, “it's likely that professional gaming will eventually overtake some or all of the major professional sports leagues. 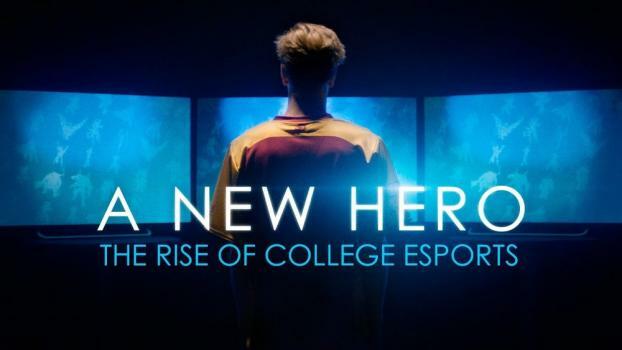 And that's probably why colleges and universities are getting into the act.” In fact, gaming scholarships for college grew a staggering 480% last year, leading many to believe that eSports just might be the new college football. Per Forbes, Executive Director of the National Association of Collegiate ESports (NACE) Michael Brooks said the number of post-secondary institutions offering eSports scholarships has grown almost 5X in just the last year. In 2014, Robert Morris University (RMU) in Chicago became the first university in the nation to offer substantial scholarships for members of the first RMU Varsity eSport League of Legends team. Since then, it is reported that more than 80 schools across the U.S. and Canada now offer eSports programs. Qualified gamers at RMU earn scholarships of up to 50% tuition and 50% room and board. Esports athletes at the school wear team uniforms and share post-game meals, just like any other collegiate sports team. 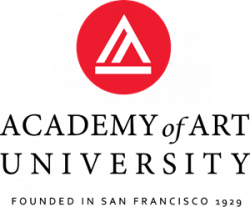 Other schools that offer eSports scholarships include University of Utah, University of California-Irvine, Stephens College, Indiana Tech, and Southwest Baptist University, to name a few. If you want to get in on the game in 2019, it’s time to start looking for a game design school with an eSports program. Begin your search for a game design school here. Arkenberg, Chris, Doug Van Dyke, JD Tengberg and Nathan Baltuskonis “Esports graduates to the big leagues.” Deloitte Insights, Deloitte & Touche, 23 Jul. 2018. Web. 22 Aug. 2018. "Esports Scholarships / Scholarships for Gamers." Scholarships.com. Scholarships.com, 2018. Web. 20 Aug. 2018. Koetsier, John. “Esports: The New Football Scholarship? Gaming Scholarships For College Grew 480% Last Year.” Forbes, Forbes Media LLC., 12 May 2018. Web. 22 Aug. 2018. Perez, Matt. “Report: Esports To Grow Substantially And Near Billion-Dollar Revenues In 2018.” Forbes, Forbes Media LLC., 21 Feb. 2018. Web. 22 Aug. 2018. Ross, Katherine. “By 2022, Goldman Sachs Thinks eSports Will Have 300 Million Viewers Like the NFL.” TheStreet, TheStreet, Inc., 26 Jun. 2018. Web. 22 Aug. 2018. Ruediger, Troy. “17 colleges with varsity esports programs, the rise of collegiate gaming.” blog.starters.co, Starters, 23 Mar. 2017. Web. 22 Aug. 2018. "RMU Becomes First University to Offer Gaming Scholarships With the Addition of eSports to Varsity Lineup." RMU Eagle News. Robert Morris University Illinois, 11 Jun. 2014. Web. 23 Aug. 2018. Trefis Team (an MIT Group). “How Much Can The eSports Market Grow In 2018?” Forbes, Forbes Media LLC., 11 Jul. 2018. Web. 22 Aug. 2018.